Welcome to the website for Introduction to Cities: How Place and Space Shape Human Experience. This site, presenting material created by the authors, contains a number of resources that you will find helpful in using the book for university courses or for your own intellectual growth. Should the book inspire you to look further into research on cities, you will find here a number of helpful guides. The List of Urban Studies Journals will point you to a large number of scholarly journals that publish urban research from around the globe. In addition, the Annotated List of Urban Studies Web Resources directs you to websites for research centers, data compilers, and non-profit organizations that work on urban questions. These websites contain cutting-edge information and reflection on the state of cities today, and are a useful resource for locating examples of the issues and trends addressed in the book. The authors have also created an annotated Documentary Film Guide. This guide provides information about a number of films that help to illustrate many of the key themes in the book. 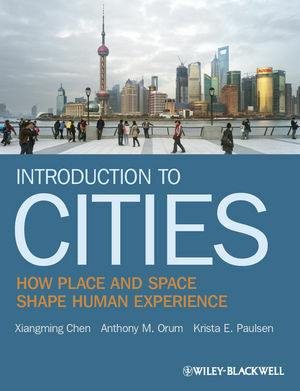 It includes information on films that the authors have used in teaching about cities and urban life, plus it connects the films directly to specific chapters in the book. We also provide information to assist you in locating the films and links for viewing them on the web, when available. Use the menu at the top hand side of the page to navigate the site. INSTRUCTORS: Access the Instructor Companion Site and the password-protected instructor resources via the Related Links in the right hand corner of this page.